This picture was taken in 1954 and captures a taste of what it was like to be a child in the East End of London after the end of World War II. 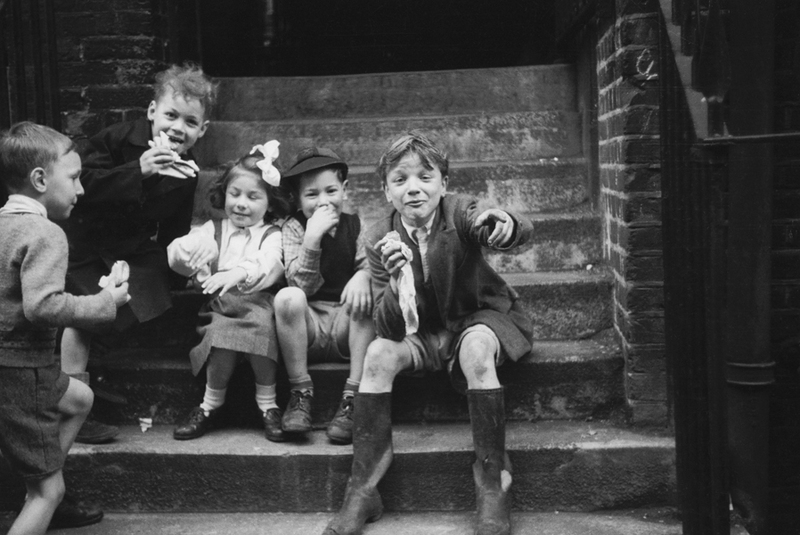 The children, relaxed and playful, sit on some steps as they enjoy eating sandwiches and pastries. * What did you do after school? * Where was your favourite place to play as a child? * Do children play differently now compared to the 1950s? Do you recognise the sound of this popular toy?